Luckeyfrog's Lilypad: Quick & Easy Tips for Teachers- Linking Up! I love simple, easy teacher tips, so I'm so excited that there's a new linky party just for them! 1) If you have a SmartBoard, and you've written a bunch of stuff but need to clear the page, use the eraser to draw a big circle around it all and then tap the middle. Everything inside the circle will disappear. 2) Take double grades when possible. My kids get a grade for spelling and a grade for handwriting when they take a spelling test. I grade with a two-sided marker and use one color for each grade. Yay for killing two birds with one stone! 3) Have kids taking too long for transitions? Go to Hallmark and annoy everyone who works there (I know this because this used to be me) by opening all the music cards until you find the perfect upbeat-and-fun-but-not-crazy tune. Whenever you want the kids to transition to a new center, new place, or new activity, open the card and let the music play. 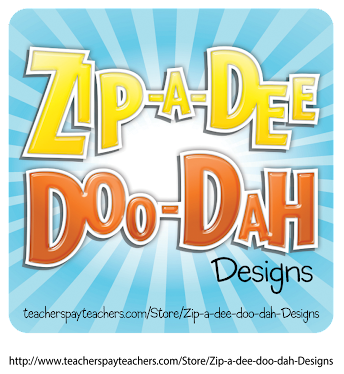 It's just a little snippet of the song- perfect for a transition, and your kids will get to know how long the song goes. By the time the card stops playing, you and your kids will be ready for a new song anyway! 4) Put important phone numbers ON YOUR PHONE. I realize there is probably a much cuter way of doing this than the way I have here, but it's so worth it not to have to look up the nurse's number when I need it (or for the sub not to have to search through my sub folder for the nurse's number when someone suddenly gets sick). 5) Do you *hate* passing out dice and counters for games whenever kids need them? I keep "game cups" that have a variety of counters and at least one die. The kids know where these are to get them, and know where they go to put them back when they're done. This works incredibly well for center games or early finishers, and the mini cups can even stack for easier storage! So, there you have it! Five simple teacher tips :) Let me know if one of them works for you! And of course, be sure to link up your own tips with Miss Kindergarten! GREAT TIPS- These are different than most but SO useful!!! Awesome tips, especially the cards! Kids probably eat that up! Thank you! Oh my gosh! I ADORE these tips. Can you feel my smoochies through the pinter-blog-iverse? THANKS a million!! Growing Firsties is having a Pete the Cat Giveaway benefitting Hurricane Sandy Relief! I definitely agree about the putting numbers on your phone! That's where my most called list is, too! I love the card idea! I am huge on multiple grades. For our spelling tests we do a "silly sentence" that way we can also take a "language" grade. We use spelling tests for a spelling grade, handwriting grade, and a language grade! I am a new follower! If you get a chance come and check out my blog! Ok my friend - every single one of those ideas is brillant! I do a few of them but wow. The Hallmark one is my fav by far....so SMART!!! Glad I linked up so I could read all of these fun ideas!